Good day to all Ultra Runners! Let me first congratulate our friend and ultra mentor Benjamin Gaetos for being the FIRST Filipino Ultrarunner to have successfully finished the Badwater Ultramarathon which is considered as the “toughest foot race on Earth”. Let me take this opportunity also to greet and congratulate Simon Sandoval who have greatly improved on the two successive two years of performance of Local Ultrarunners at the prestigious Western States 100-Mile Endurance Race. From the day the first 82 “tough and brave warriors” finished and shared their stories on their experiences for finishing the 1st Bataan Death March 102K Ultra Marathon Race four years ago, it was a “leap and bound” phenomenon on the rise of the number of ultra runners or ultra marathoners in our country. It gave rise also to different and unique ultra running Race Directors in this country. With more ultra runners and Race Directors, it gave us the opportunity to join a never-ending list of ultra running races almost every month. More races are being held and organized in the different regions in the country. Not only we have monthly races, the distance of our ultra running events are getting LONGER, too! Our Race Organizers/Directors and our Ultra Runners have breached the 100-mile single stage/solo run distance and reached up to the 250-Kilometer distance with a cut-off time of 48 hours. And soon, more multi-day stage running events on the roads and trails will be held in the coming years! 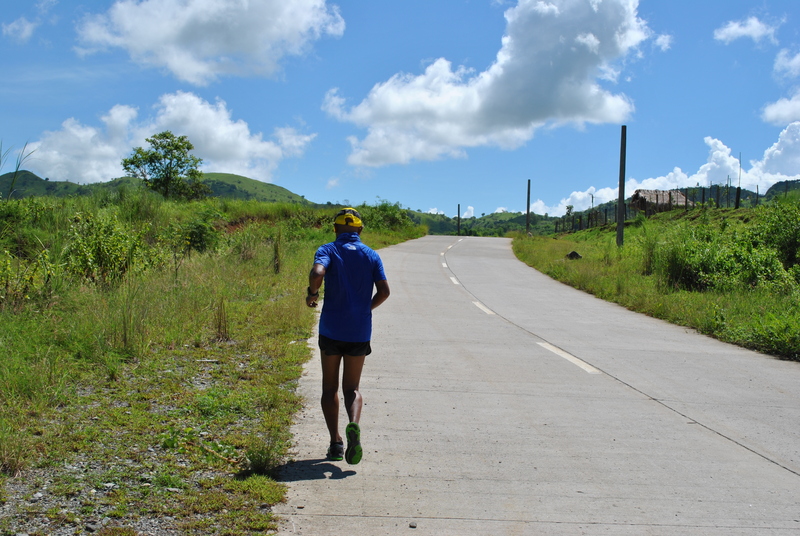 Whether it is good or bad, you can say that it is only in the Philippines where there is ultra running season all-year round! 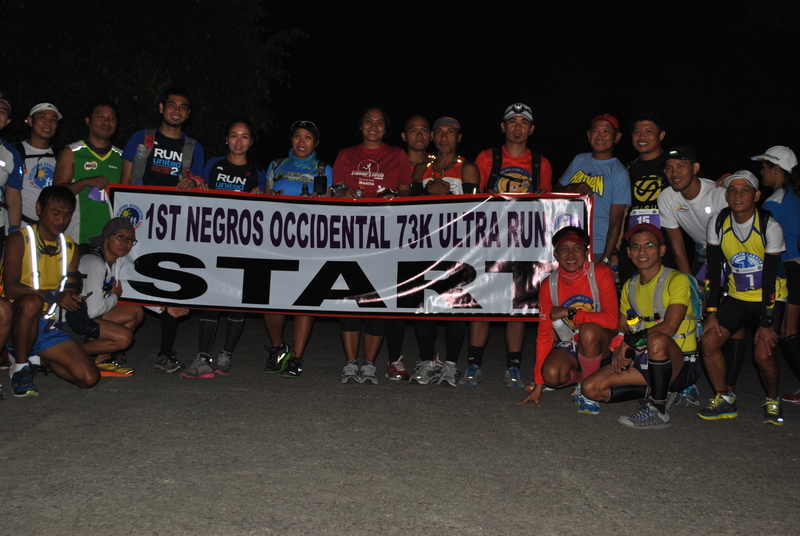 More Ultra Running Races, More Fun In The Philippines! There is nothing fancy about such races. Whether it is a trail ultra or road ultra, everything is kept to its simplicity. It is simply a race between the runner and the ground where his/her feet would land from the starting line up to the finish line. Simplicity, that our races are not sponsored by big corporate companies; the government; or any private foundation. Simplicity where we don’t broadcast or print them on the mass media publications and broadcast networks. 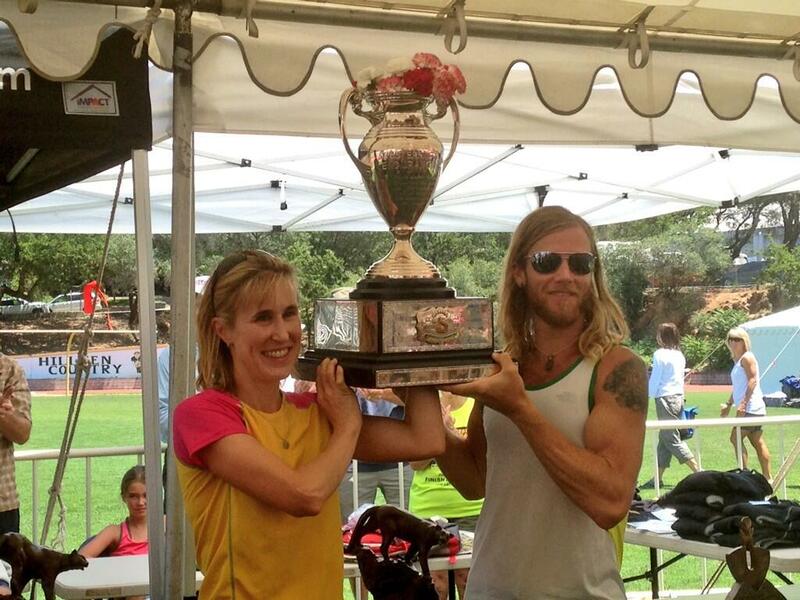 We simply want our races to be known through the “words of mouth” from one ultra runner to another. Do not complain if the registration fees in joining ultra events are rising. You have a choice and we are not forcing you to join our races. The Race Organizers are happier if they can manage only a handful of runners because Ultra Race Event Management is a “bad and losing” business. It is only the dedication and passion of each Race Director that keep the race being held every year. We adhere to the highest standards for the safety of our runners. We make sure that our “first-timers” would be able to finish a Full Marathon Race (42K) and submit to us their respective Medical Reports/Clearances. And participants must be able to strictly follow our Rules and Regulations. Fortunately, we don’t have any record of death/s in our races. It is good that we only receive reports on dead toe nails; dead skin; and blisters! Forty-Five years ago when I was in College, I would go to the University Library to research on a Subject or Topic that would interest me. Today, you can simply research on anything in the comfort of your bedroom by just simply having a cellphone or a tablet/laptop connected to the Internet. We started as ultra runners through the World Wide Web or the Internet and we learned from the experiences of ultra runners here and abroad through their personal websites; on line publications; and blogs. The knowledge and vast of information within the grasp of runners are endless and readily available. On this age of high-technology, all you have to remember, when you want to research or get information on subject/topics you are interested in, are the words, “google it”! Or simply register and get a Facebook account and then ask anybody from the members of the Pinoy Ultra Marathoners Group (PUMAG)! Members of this Facebook Group are the Ambassadors of Ultra Running in the country. We have a great and promising future for our ultra runners to be known worldwide. Let us discover more “talents” in the country side/”grassroots” level through our regional and provincial ultra racing events “sorties”. Strictly guided “younger talents” are needed if we want better performance in our participation in ultra running events abroad. We need “young yet matured, dedicated, and passionate” ultra runners for our quest to perform our best and be able to place our country among the best of ultra running nations. Discovering and training for these “talents” for a “high profile” international ultra running event is just one-half of the story. The support and resources needed to send and support such runner is the more complicated second/last-half of the story. But with the generosity of our ultra runners and friends, everything will push through as planned. We were able to send and bring our elite ultra runners in international events in the past through this scheme. And we will continue to do so. We need to exert more diligence and determination in our effort to attract and motivate private corporate entities as well as the government to support our sports and our future participation to international ultra running events. Let us send our “best, fastest, and strongest” ultra runners to such events. If we have a hard time getting the support of the broadcast and printed media, we have to continuously support our FrontRunner Magazine as well as our local Runners World Magazine. These published Magazines had been instrumental in spreading our sports of running and ultra running. After Ben Gaetos’ finish at the Badwater Ultramarathon, I have received a reminder of commitment from Joe Matias of A Runners Circle Specialty Store in Los Angeles, California that he is willing to support any of our local elite ultra runner once he/she arrives in the USA to participate in any ultra running event in any part of USA. Thank you, Joe for that commitment of support to our elite runners. As my parting words to this SONA, let me go back to my introductory statement. Once again, we warn you that we abhor “Bandits and Cheaters” in our Ultra Races! We will continue to expose these shenanigans in our races and disqualify them in our future race races. True Ultra Runners are those that are silent, simple, calm, kind, supportive, and always see to it that their feet are always pounding on the ground, whether it is a trail or a paved road! Mabuhay ang mga Pinoy Ultra Marathoners dito sa Bansa at sa Buong Mundo! Salamat po sa lahat at Pagpalain sana kayo ng Diyos Maykapal! After 35 years, a Pinoy Ultrarunner was invited and successfully finished the Badwater 135-Mile (217 Kilometers) Ultramarathon Race which is globally recognized as “the world’s toughest foot race” where 90-100 of the world’s toughest athletes—runners, triathletes, adventure racers, and mountaineers, are invited to compete against each other and to survive the elements, elevation and extreme hot temperature of the Death Valley Desert in California, USA. 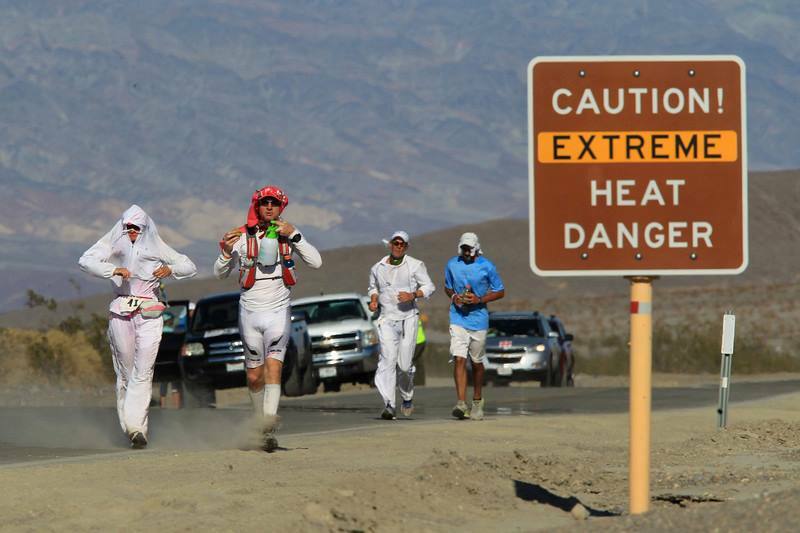 Badwater Ultramarathon, simply known as “Badwater 135” is a “by invitation only” race where a five-member committee selects 100 of the best endurance/ adventure athletes worldwide to compete in this event. This race is considered as “the holy grail of running” due to the extreme conditions of the route and the environment. For the first time in its race history, Philippines’ Flag/Colors will be displayed on its official website and function areas due to the successful finish of a Pinoy Ultrarunner. Benjamin Gaetos of Eagle Rock, California finished the race in 44 hours 8 minutes 7 seconds after starting from Badwater, Death Valley, which marks as the lowest elevation in the Western Hemisphere at 280 feet below sea level, on a non-stop run to the Finish Line at the Mt Whitney Portals with an elevation of nearly 8,300 feet above sea level. 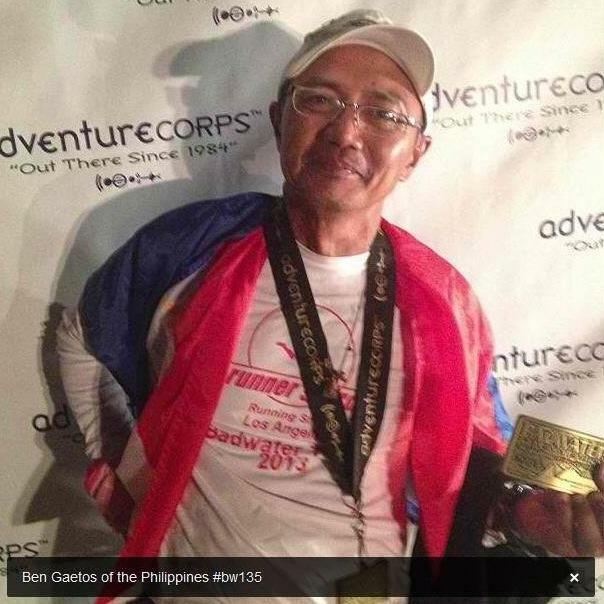 Popularly known as “Ben Gaetos” among ultrarunners, he endured the hot temperature reaching up to 130 degrees Fahrenheit and the course cumulative vertical ascent of 13,000 feet that covers three mountain ranges in the Death Valley Desert and a cumulative descent of 4,700 feet. The race was held last July 15-17, 2013 and it usually starts on the third Monday of July every year, few weeks after the start of Summer Season in the United States! He finished with a ranking of 64th Finisher out of the 81 runners who crossed the Finished Line within the prescribed cut-off time of 48 hours. For the past editions of the race up to 2010, the cut-off time was established at 60 hours. But due to the distance, elevation, and the extreme hot temperature of the course, even the best and toughest ultrarunners would succumbed to dehydration and foot blisters. With a reduced cut-off time, more pressure was on the shoulder of each of the participants. Fifteen runners declared themselves as Did Not Finish (DNF) in this year’s edition. This year’s 36th edition of the race was joined by 97 runners from 25 countries, the most number of international runners to participate, to include the United States of America. For the first time in the history of the race, Philippines was represented in the person of Ben Gaetos. Two other Southeast Asian ultrarunners, from Malaysia and Singapore, were also represented for the first time in this race. Seow Kong Ng of Malaysia, finisher of our country’s BDM 102 Ultra Marathon Race and Taklang Damulag 100-Mile Endurance Run, successfully finished the said race. Out of the 97 runners, 48 runners are considered as Badwater “veterans” and 49 runners are “rookies”/”first-timers”. Ben is one of the “rookies” for this race but he is an accomplished ultrarunner for having finished almost 60 ultra running events to include 100-mile runs, 100K races, 50-milers and 50K runs. Ben is also a Finisher of the BDM 160 and 102 Ultra Marathon Races where he finished the BDM 160 Ultra in less than 24 hours. In this year’s race, the runners consist of 74 men and 23 women. The Overall Champion Award went to Carlos Alberto Gomez De Sa of Portugal with a finish time of 24 hours 38 minutes 16 seconds. The Lady Champion went to Catherine Todd of Australia with a finish time of 29 hours 55 minutes 29 seconds with a ranking of 11th overall finisher. Valmir Nunez of Brazil still holds the course record with a time of 22 hours 51 minutes 29 seconds which he set in 2007. On the other hand, Jamie Donaldson of Colorado, USA still holds the women’s course record with a time of 26 hours 16 minutes 12 seconds which she set in 2010. At the age of 56, Ben Gaetos said, “The mountain ranges near my house in Eagle Rock, California had helped me with my strength and endurance in preparation for the race. The hot weather in California and regular sessions of “Sauna” since February of this year had also given me the confidence and acclimatize to the heat in the Death Valley Desert”. Ben had also a good familiarity of the route as he had served as a member of the Support Crew and Pacer for the Badwater’s Past Champion Jorge Pacheco and top ultra runner Badwater Finisher Adalberto “Flaco” Mendoza in 2010. Ben, in an interview with him, said that he had been to, as far as, Las Vegas Red Rock Canyon Park and at the Death Valley Desert for some practice runs weeks prior to the race event for him to acclimatize with the extreme heat in the desert. And most of the time while he was doing his heat training in Palm Desert, Palm Springs and Twenty-Nile Palms in California, he would be stopped by the roving California Highway Patrols and he would be asked with these questions: “Are you lost?”; “Where are you going”; “Where did you leave your car?”; “Are you out of gas?”; “Do you need help or a ride?”. The funniest thing that he relayed to me was that, he was suspected to be a terrorist running in the desert where he had to give his hydration pack and bottles for inspection to the CHP Officers. 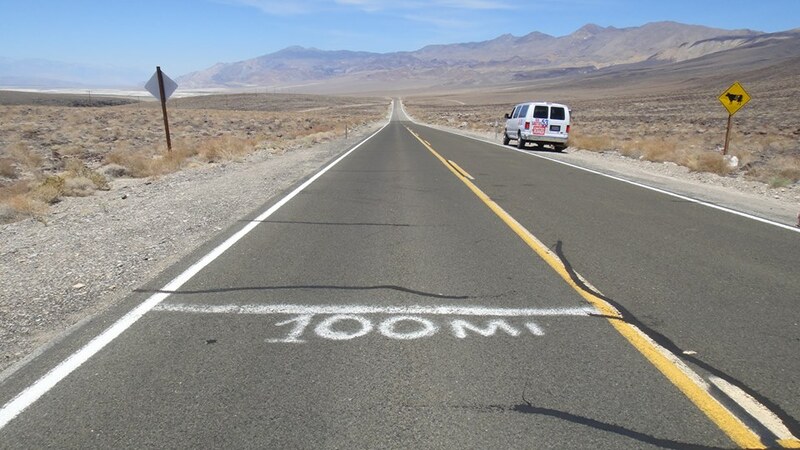 Constantly running for 135 miles on the white line on the left edge of the asphalted road along CA Highways 190 and 136, Ben complained of swollen ankles on his last 35 miles to the finish line. “I slowed down with my pace before I reached Lone Pine with my swollen ankles but I never thought of quitting the race. I know my ultra friends back home in the country expected much from me as my participation and finish would be a significant part in the history of ultrarunning for the country. I will not fail my friends and my country”, Ben Gaetos said after he was awarded with the Badwater’s Medal & Buckle at the Mt Whitney Portals. The White Paint Line On The Left Edge of the Road. 35 Miles To Go! “My successful finish in the 36th Badwater Ultramarathon would not be possible without the help and assistance of my Support Crew and Pacers led by my Ultra Coach Nancy Shura-Dervin, a Badwater Ultramarathon Finisher, who patiently bandaged my feet on the night prior to the start of the event. The bandage made by Nancy on my feet prevented me from having any blisters during the run which had been the culprit of numerous DNFs of runners in this race”, Ben said. Filipinos based in the Los Angeles area have also served as members of the Support Crew/Pacers of Ben. A Runners Circle (ARC) Specialty Store in Glendale, California owned by Pinoy runners & triathletes Joe Matias and Derek Lee Biesheuvel is one of the major sponsors of Ben Gaetos’ participation to the 36th edition of the Badwater Ultramarathon. Ben Gaetos is presently working as an Architect of the Los Angeles City Government’s Department of Public Works and he is humble not to mention openly that he is the main/chief architect of the newly constructed bridges/overpass/underpass and parks within the City of Los Angeles. It is worth mentioning also that he also a part of the team of city architects that made the latest transformation and reconstruction of the famous Echo Park Lake in Los Angeles. Ben Gaetos is a regular donor of Bald Runner’s Donate-A-Shoe Project for the past 5 years where he would send Balikbayan Boxes of used shoes from California. He is also a Contributing Writer to the Ultrarunning Magazine for his Race Reports in Ultra Events. His Race Report in the BDM 160 Ultra was featured in the said prestigious monthly magazine last April 2012. Ben Gaetos’ parents are from the Province of La Union and he was born in Santa Ana, Manila. He graduated from the University of Santo Tomas with Bachelor of Science Degree In Architecture. Ben is a full-blooded Ilocano! He is married to Josie Manila and have only one daughter, Paula. From San Carlos City To Mambukal Mountain Resort (Murcia, Negros Occidental) via Don Salvador Benedicto Highway. 2. Elite runners who registered a finish time of Sub-3 hours for a Marathon Race (42K) for the years 2012 & 2013 will have Special Rates on their 2014 BDM 102 Registration Fee. They have a discounted rate of P 2,000 as Registration Fee. If the elite runner is an active member of the AFP/PNP and other Uniform Services who has a Marathon Time of sub-3 hours, he/she will pay the lower amount of P 2,000. 3. Course Record Holders of past editions of BDM 102 are automatically FREE from paying their registration fee in the said race if they intend to defend or improve their finish times. The same will apply to the Course Record Holder of the past BDM 160 Race. 4. An additional 50 slots will be allocated to these members of the armed/uniformed services; elite runners and course record holders in the 2014 BDM 102 Ultra Marathon Race. This will make a total of 300 runners for the said event. BDM 160 Ultra Race will maintain a maximum of 100 runners. 5. Finally, Senior Citizens can avail of their 20% discount on the registration fees. Simon Sandoval of Makati City, Metro Manila sets a New Course Record for a Local Pinoy Ultra Runner at the 40th Edition of the Western States 100-Mile Endurance Race (WS100), considered as the oldest and most prestigious ultra marathon mountain trail race in the world. He finished the race in 27 hours 9 minutes 53 seconds with a ranking of 156th out of 277 finishers in the second hottest edition in the history of the race where the temperature registered triple digits as high as 110 degrees Fahrenheit in the mountain canyons of the Sierra Nevada Mountain Ranges & Western States Trails. Sandoval was the lone representative of the country out of the 22 countries and 40 states in the US that were represented in the said race in this year’s edition. Last year, Jonnifer Lacanlale, a lawyer from the Clark Freeport Authority in Angeles City, was the first representative of the country in the history of this prestigious race when he joined last year with a finish time of 29 hours 50 minutes 33 seconds, landing at 309th place with 316 runners who finished the race. He was later awarded with a Special Recognition Award/Plaque from the Philippine Association of Ultrarunners (PAU) as the First Local Pinoy Runner to have finished the prestigious trail race. Simon Sandoval performance had greatly improved from Lacanlale’s performance last year due to the advise and guidance of the latter’s lessons learned during the race. Simon and Jonnifer had been together in finishing the Mt Blanc Ultra Marathon Race (UTMB), a 100-mile trail running race around the famous mountain, in France in 2011, passing through the countries of France, Italy and Switzerland. Sandoval qualified for the Western States 100-Mile Endurance Run after his name was picked in the lottery among thousands of qualified applicants. He was among the 417 runners who got into the lottery from qualified applicants throughout the world. A qualified applicant must have finished a 100-mile mountain trail race within the prescribed cut-off time or have finished a 50-mile trail race in less than 11 hours or have registered a finish time in a 100K trail run in less than 15 hours. 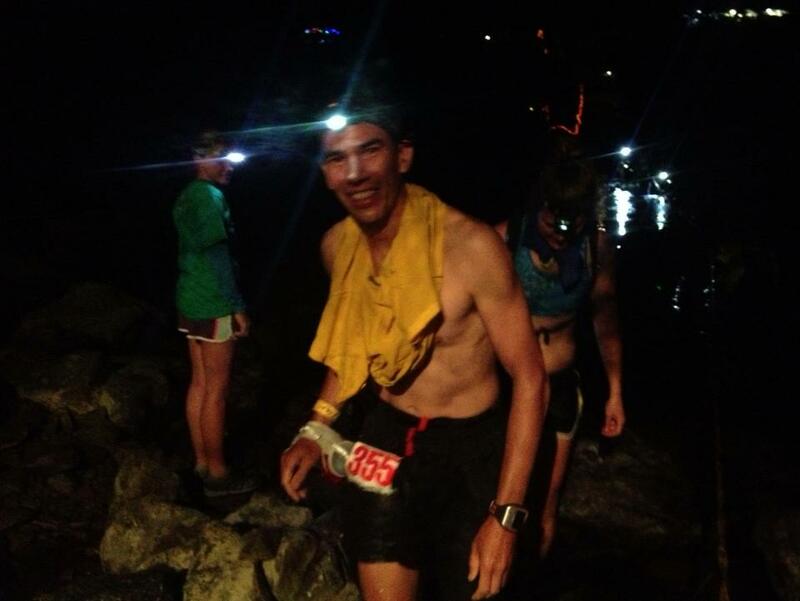 Sandoval is qualified to run the race as he finished both a 100-mile trail race and registered a finish time of 9 hours in a 50-mile trail race in the United States. Timothy Olson of Ashland, Oregon won the Championship Award in this year’s event for the second year in a row with a time of 15 hours 17 minutes 27 seconds. He holds the Course Record in 14 hours 46 minutes in the last year’s edition. The ladies champion went to Pam Smith of Salem, Oregon finishing the race as 9th Overall with a time of 18 hours 37 minutes 21 seconds. Olson works in a Special Running Store while Smith is a full-time physician. Out of the 383 runners who started the race at 5:00 AM of June 29, Saturday, at the 1960 Winter Olympic Games Site in Squaw Valley, California, 277 runners finished the race with 72% Finish Rate. 95 runners finished the race in less than 24 hours and awarded with the WS100 Silver Buckle and the rest of the 185 finishers were awarded with the Bronze Buckle finishing the race within the cut-off time of 30 hours. Simon must had been able to acclimatize with the weather and been able to adjust on the altitude and elevation of the course. 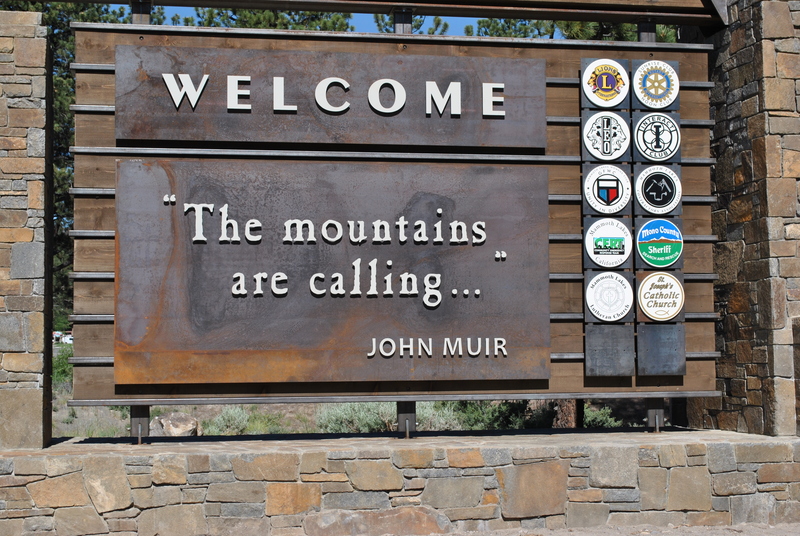 Runners would climb and descend a total of about 40,000 feet or 12,120 meters through the wilderness of the mountains and into the deep and hot/humid canyons of the historic California Gold Country. Simon was all smiles when he received his WS 100 Bronze Buckle during the Awarding Ceremony in the presence of his relatives, friends, support crew, and other Pinoy Ultra Runners based in California. Retired Major General Jovenal D Narcise, President of the Philippine Association of Ultrarunners (PAU) had extended his congratulations to Simon Sandoval for an exemplary performance in the 40th edition of the Western States 100-Mile Endurance Run. He said, “The outstanding performance of Simon Sandoval shows that our local Pinoy Ultrarunners are at par with the best ultrarunners in the world. We have to strive some more to send our best local runners and be able to represent our country in this prestigious ultra trail event. With the help and support of the running community and the private sector, our efforts shall be geared towards sending our next Pinoy Ultra Runner who would be able get the much-coveted WS100 “Silver Buckle”. If there is any significant record-breaking fact in the 40th edition of the race aside from Timothy Olson’s winning the race for the second year in a row and the second highest registered “hottest day in the 40-year history” of the race, it is the performance of the former 1997 Western States 100 Champion Mike Morton, 41 years old, as the New Male Master’s Course Record Holder with a time of 15 hours 45 minutes earning him as the 3rd Overall Finisher in the race. Mike Morton had been stationed in Subic Bay Naval Base when he was with the US Navy during his younger years as a Naval Diver. He is presently a Master Sargent of the US Special Operations Command based in Florida, USA.